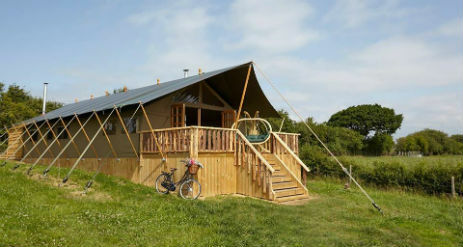 Glamping The Wight Way is in cosy canvas safari lodges set within gorgeous private surroundings near Freshwater on The Isle of Wight. 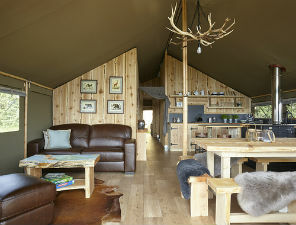 Our four stylish canvas lodges are set within two interlinking private meadows and have ski-lodge inspired interiors with bi-folding doors to the deck from where you can see spectacular sunrises, mists over the river and birds in flight over the fields. 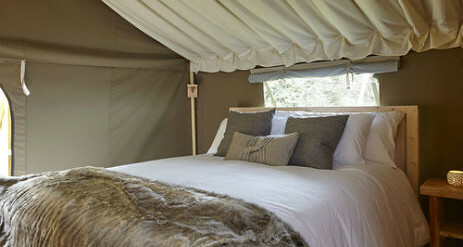 The lodges have three bedrooms with Egyptian cotton sheets & towels, all seasons duvets and private outdoor showers. 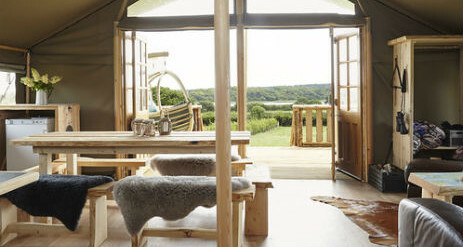 Our wooden furniture, kitchen & fittings is handmade by local craftsmen with 90% of the wood sourced from the Isle of Wight and an outdoor shower! Although we are off grid, we do have fixed point solar powered lighting in each room and 4 solar powered USB charging points in each lodge. 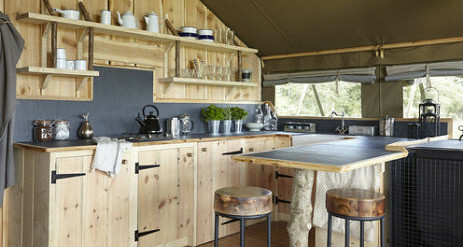 The glampsite is situated on a mixed arable and livestock working farm of approximately 900 acres around the saltwater tidal River Yar estuary. An exciting environmental habitat with extraordinary biodiversity. 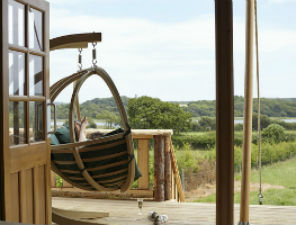 Just 1 mile walk through fields amd woodland will take you to the historic harbour town of Yarmouth. The entry to the port is overlooked by the ancient Yarmouth Castle. We are centrally located to a good selection of eateries, bars, pubs, cafes, take aways, shops and facilities. All are within easy reach including chemists, a petrol garage, Sainsbury local and the flagship CoOp store, all less than 2 miles away in Freshwater or Yarmouth. 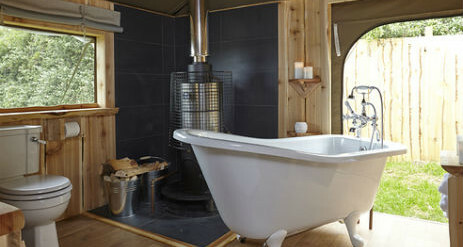 Not one but two flushing toilets in each lodge and lovely handmade wooden fittings as well as your own private outdoor hot shower – an invigorating and fun experience under the sky on your private decked area! 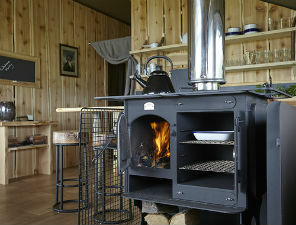 The hot water is heated by the wood-burning water heater that keeps these rooms toasty warm and makes the whole lodge smell wonderful. We have fitted coat hooks & towel hooks so that there is a place for everything. 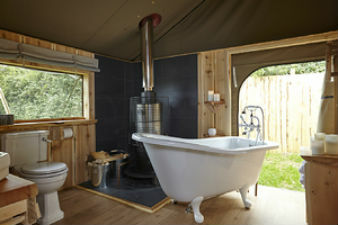 Each lodge has a private outdoor hot shower. 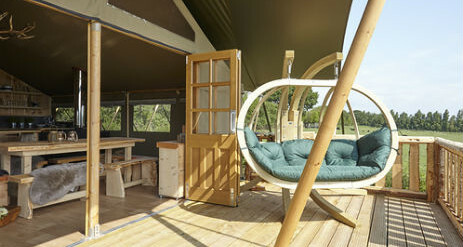 It is quite an invigorating & fun experience showering under the sky in the private decked area. Yarmouth town although small, has some interesting independent shops including a deli, bakery, an Aladdin’s Cave of a chandlery/hardware store, various cafes and takeaways, restaurants, bars and pubs mainly around the town square. The old wooden pier features a cafe and an ice-cream parlour serving local ice-cream. A walk or ride in the other direction along the river will take you to the pretty village of Freshwater, passing one of the Islands best pubs and prettiest of churches where some of Lord Tennyson’s family are laid to rest. Freshwater High Street is home to many independent shops, cafes and takeaways including a fish and chip takeaway, a greengrocer, baker. butcher, fishmonger, florist and bike shop. Freshwater Bay is probably the most picturesque beach in West Wight. It is a popular stopping off point for those who like to walk the cliffs to Tennyson’s Monument and the stunning coastline rambles along to unspoilt, rugged sandy beaches. Compton Bay is a best kept secret being two miles of contrasting golden and dark sands. Cowell Bay is a stunning beach offering spectacular views back across the Solent. 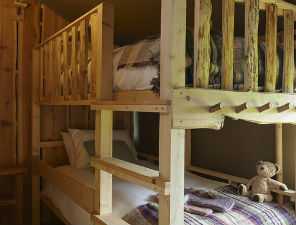 No surcharges for wood, sofa bed, cot or highchair. £200 returnable security deposit required per tent booked.